We all need a new pair of running shoes if our current pair of running shoes have worn out. Some of us who run quite frequently have to change their running shoes every 6-9 months to ensure they don’t get any injury. Buying a new pair of running shoes after every 6-9 months can be a costly affair for some people. To save your time and money, we have done the research for you and shortlisted the Top 10 best running shoes under 2000 in India. But before that, let me try and answer a common question that I get (and I am sure even you may have this in your mind right now). 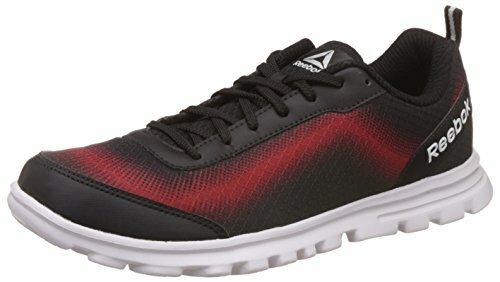 Would a running shoe under INR 2000 be good? And the answer is – it depends. But let me try and give you some reasons you should consider getting a running shoe under 2000. For people who are into running, shoes can worn out pretty quickly. A low priced shoe can be a good replacement every once in a while and is also light on the pocket. While with expensive shoes (the likes of Nike and Adidas) you expect the quality to be great, with shoes under 2000, you should NOT look down upon it as low quality. Sometimes, you get a sturdy high-quality shoe under 2000 as well. In our list, you’ll find that companies such as Nike and Adidas are missing, but includes Lotto, Fila, Puma (and even Reebok). It doesn’t mean these companies shoes are low quality, it just means that they are serving customers who want cheap running shoes within a reasonable price point. You’ll also find that some shoes are available at a huge discount. This is common in the shoe retail business as they try to clear stock. In such cases, you can get a really high-quality shoe for a cheap price. In case you’re in a hurry, here are my top three recommendations for the best running shoes under 2000. Still confused about which running shoes is best for you? Let me help by providing detailed reviews on the best running shoes under 2000 that I found in the market (and the ones you can buy online). These reviews will definitely help you gain awareness and understanding of the best features, pros, and cons of each running shoe. Below is the table that shows all the running shoes under INR 2000 covered in this review. Now let’s have a look at the detailed reviews of each of the running shoe covered in this article. Puma, as we all know, is one of the world’s leading sports brand selling and marketing footwear, apparel, and accessories in India for a long time. We tested these pair of shoes while running and found that the shoes are extremely lightweight and comfortable. The inside cushioning is fantastic to prevent your feet and knees from the shock they get while running and therefore preventing you from injury. The sole of these shoes are made of rubber and therefore it offers better traction on wet surfaces so the chances of you slipping are very less. Interestingly the second shoes on the list are also from Puma. These pair of shoes have over 330 reviews on Amazon with an average rating of 4.1 out of 5 on Flipkart. Around 70% of the shoe material is made of mesh material and that’s the reason the shoe is absolutely lightweight and comfortable. There is very soft lining on the inside to give you a great comfort with enough cushioning in the shoes to prevent you from injury while Running. The Puma Strike Fashion shoes is a real value for money. The shoes are super duper lightweight and comfortable for Running and walking. 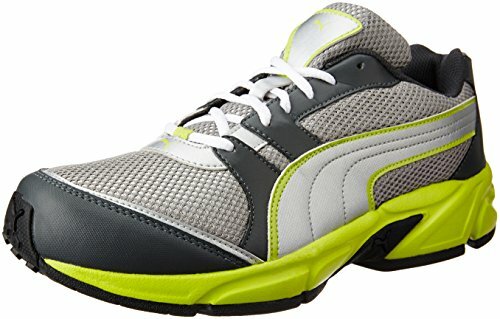 Puma has a variety of shoes under their Running category and the Puma Strike Fashion II are in the Top bestseller list. The shoes are priced under 2000 and a complete value for your money. It is advisable for people with wider feet to take one size bigger than their usual size. They perform well for every day running and are at ease even on the track for fast workouts. 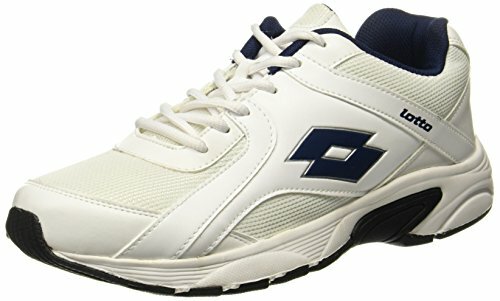 There is one word that comes straight to my mind when I talk about Lotto Vertigo Running Shoes and that word is “Superb”. The Lotto Vertigo Running shoes are currently ranked at Number 3 on the Amazon’s bestseller list. This is primarily because of the price point which is approximately Rs. 1000 currently and also the shoes are available in the Black color. Fila is originally an Italian sporting goods company started in 1911. It is now the largest sportswear company in South Korea. These Fila Wayne shoes have Mesh in the outer material and comfortable cushion fabric inside. The sole of the shoes is made of EVA. The design of the shoes is great to give you a comfortable fit and the front end of the shoes is also wide enough for Runners with a wider toe. To summarize everything these shoes are an all-rounder when it comes to comfort, lightweight and durability. The Puma Stocker is one of the longest-standing running shoes on the market. Its mind blowing design, shape and inner cushion will give you the comfort that your feet are looking for while running. At a price of less than Rs. 2000 the Puma Stocker shoes are worth every penny of yours. Puma is known for the great quality of their sports shoes and the Puma Stocker is a great example. If you want to try something new, get these shoes and they might surprise you with their great quality. These pair of Lotto shoes are readymade for short distance runners and walkers. If you are a long distance runner then you should look at other shoes in this article. At a price of approximately 1200 Rs. the shoes are a good fit for a short term. Because of the Rubber sole, the shoes will wear out quickly, maybe within 6 months depending upon usage. Lotto offers a 90-day replacement warranty for any manufacturing defects. Therefore if you purchase a new pair of Lotto shoes from Amazon or Flipkart and it gets damaged within 90 days you can ask for a replacement. One of the bestselling shoes under the Lotto branded shoes is the Lotto Tremor Running Shoes. The shoes are extremely lightweight, comfortable from inside with superb cushioning and PU sole giving an extra edge for runners. PU (Polyurethane) soles are known for their shock absorbing qualities for Runners. 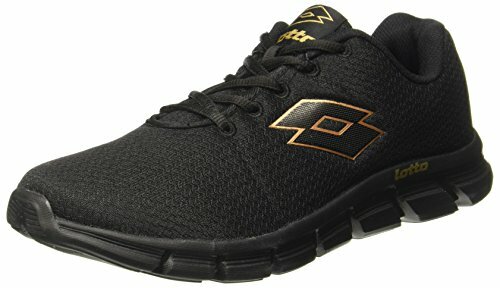 At a price of less than 1500, these are an awesome choice for Runners and Gym goers. Reebok has been selling this excellent pair of shoes online since quite some time and these shoes have been topping the bestseller charts. The look of the shoes are similar to canvas shoes but they are really good for running and walking. Because of its design, it could easily be used as a multipurpose shoe for training and racing for those preferring cushion over lightweight shoes. Sparx is a Delhi based company and one of the leading footwear brands in India that were ranked 3rd ‘Most Trusted Footwear Brand’ in India in The Brand Trust Report – 2016. Sparx is a brand under the Relaxo Footwear company that has its headquarters in Delhi and is one of the oldest companies in India within the footwear business. With brand ambassadors like Akshay Kumar, Salman Khan and Shahid Kapoor this brand competes well with the likes of Reebok and Nike and is giving them a run for their money. The Sparx Running shoes are an excellent choice for everyday runners but just one thing you should keep in mind is that these shoes are quite narrow from the toe end, therefore, you should buy one size bigger if you have wide feet. Best Running Shoes in India. 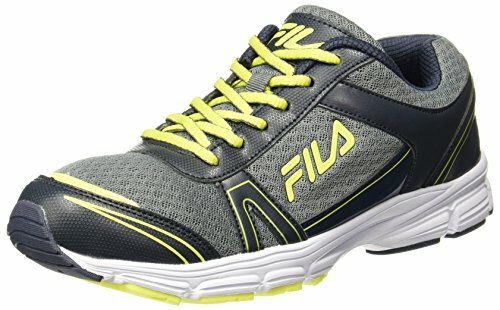 Best running shoes under 5000 in India. Best Trail running shoes in India. Best trekking shoes in India. Best Sole Material for Running Shoes.